2016 was a good year for iOS games. The trouble is, great games can be hard to find because there are so many released every day. That's why we started the weekly Game Day column, which is dedicated to combing the App Store for fun and interesting games. We have covered 28 games since Game Day began in May. Looking back over that collection, there are certain ones that stand out more than others. Here are our six favorite games from the past year. Le Parker was featured on Game Day just a few weeks ago. It's a classic platformer with beautiful pixel art and a soundtrack of over 20 songs that add to the experience. The backstory and gameplay are reminiscent of classic Mario games from Nintendo, but Le Parker brings it own style to the genre through unique characters and thoughtful level design that make you want to go back and replay parts of the game over and over to uncover all the surprises. There are a lot of retro, pixelated platformers on iOS. Too many look better than they play, which has made some players skeptical of the genre. Le Parker is different. It's the complete package with clever, challenging gameplay to go along with it's excellent visuals and sound design. F1 2016 is the closest to a console-level quality game that I played on the Apple TV this year. It's not surprising Apple chose to show off F1 as part of its iPhone event in September. The game, which runs on iOS devices and the Apple TV, has some of the best graphics I’ve seen on either platform. There’s incredible attention to detail and with a Bluetooth controller on an Apple TV, I nearly forgot I wasn’t playing a PS4 title. F1 is a deep game, including 21 courses from around the world and 11 real F1 teams with 22 drivers. F1 also takes advantage of some of iOS's latest features like haptic feedback on the iPhone 7. When you leave a course or bump a competitor, the iPhone 7 vibrates in response, making the game more immersive. 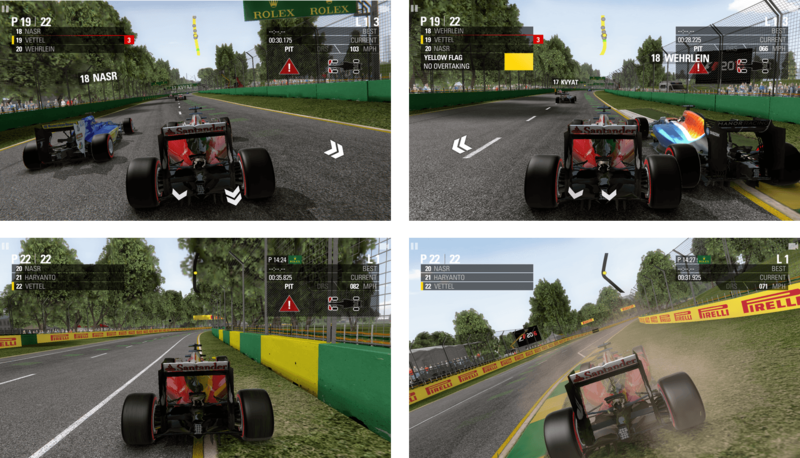 F1 2016 sets a high bar for future iOS racing games. I was addicted to Mini Metro immediately and judging from what I’ve seen on Twitter, I’m not alone. The game is a transportation simulator. You build stations and deploy trains to keep the citizens of cities around the world happy and get them to their destinations on time. When train platforms become overcrowded, the game ends. 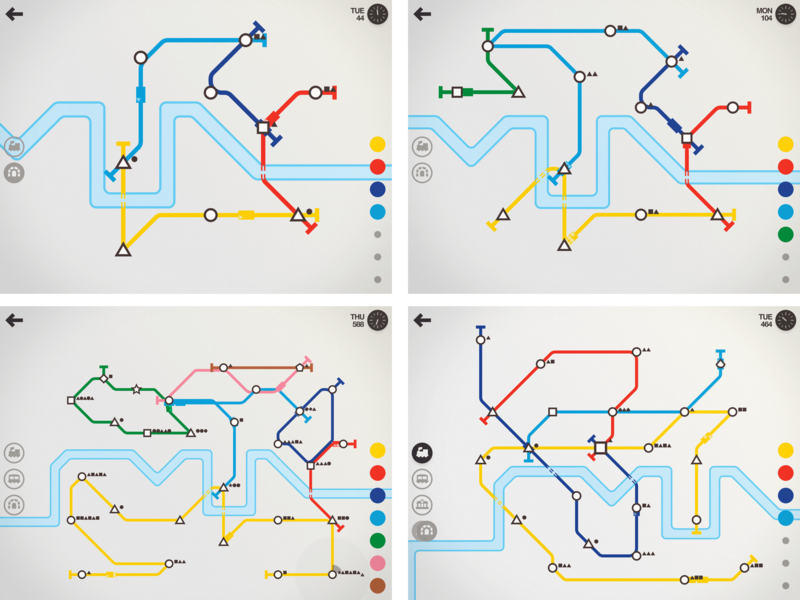 The spare, colorful design of Mini Metro is beautiful. A finished game often looks like a work of art. I also like that you can replay the evolution of your rail system as a sharable GIF. 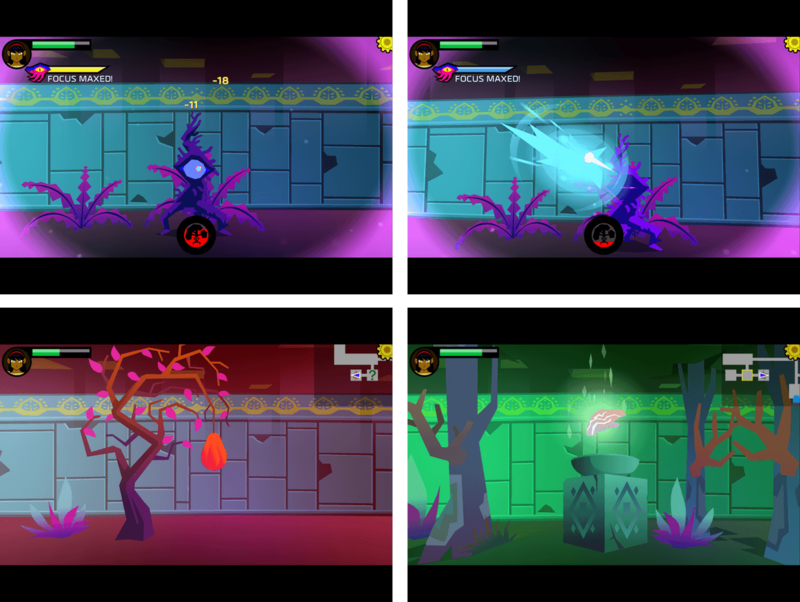 Severed is from Drinkbox Studios, the maker of Guacamelee!, an indie game that debuted on a number of major consoles. You play as Sasha, a one-armed warrior in search of her missing family. The game plays out in a series of dungeons where you encounter monsters that you battle with your sword. The touch-based sword slashing works well on iOS adding a sense of immediacy and action to the story. What drew me to this game initially was its unusual and striking artwork. Apple seems to have noticed too because it named Severed the best iPad game of 2016. Like many of my favorites this year, there is a depth to Severed that goes well beyond the visuals and extends to the story, gameplay, and touch mechanics that work in harmony to make Severed a standout. Reigns is a card-based adventure game with a lot of personality and a great sense of humor. As ruler of a kingdom, you are faced with a series of choices that affect the path your reign takes. Your choices are made by swiping left and right on cards. With each choice, the strength of your subjects, the church, and your army ebbs and flows. Keeping everyone happy and all the variables in balance is tricky. I was glad to see Reigns named a runner-up by Apple in its best of 2016 awards for iPhone games. 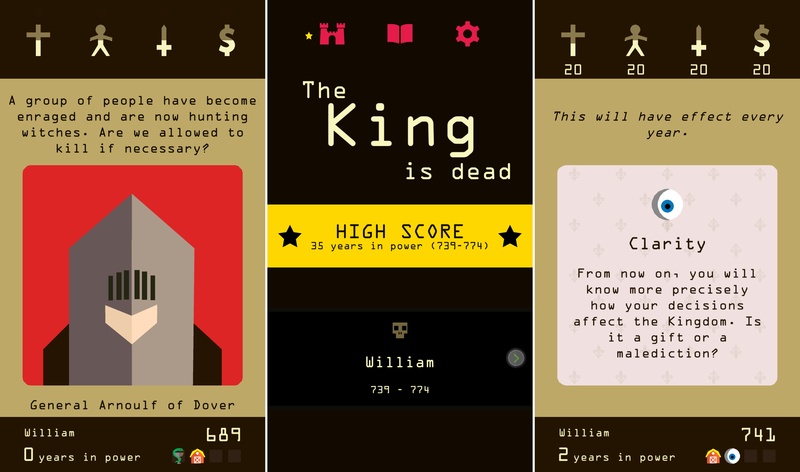 In a crowded store with many similar games, Reigns struck a unique and fun chord this year. 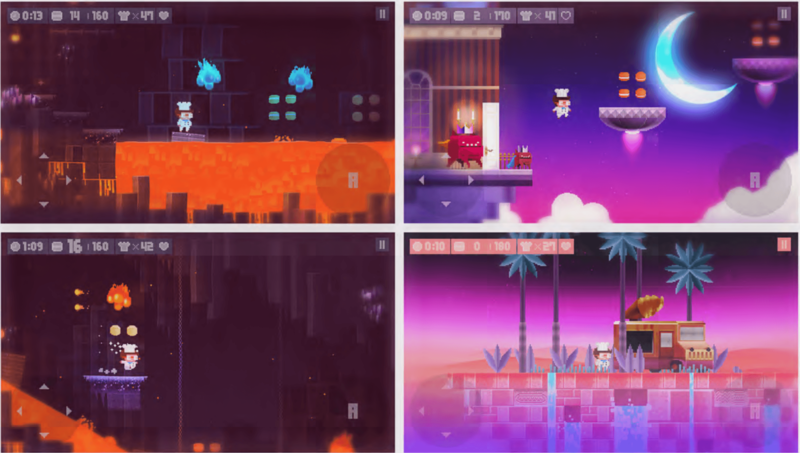 Don't Grind by Laser Dog Games fully embraces iOS as a mobile platform with excellent one-handed play. The game is designed around the simplest mechanic possible – tapping the screen to keep a character aloft and out of harm's way above two giant spinning blades. As you tap, lasers and other obstacles appear to try to hasten your demise. What makes Don't Grind work is a careful balance of tricky obstacle avoidance, star collecting, cute collectible characters, and a lighthearted, bouncy soundtrack. iOS is a unique platform. 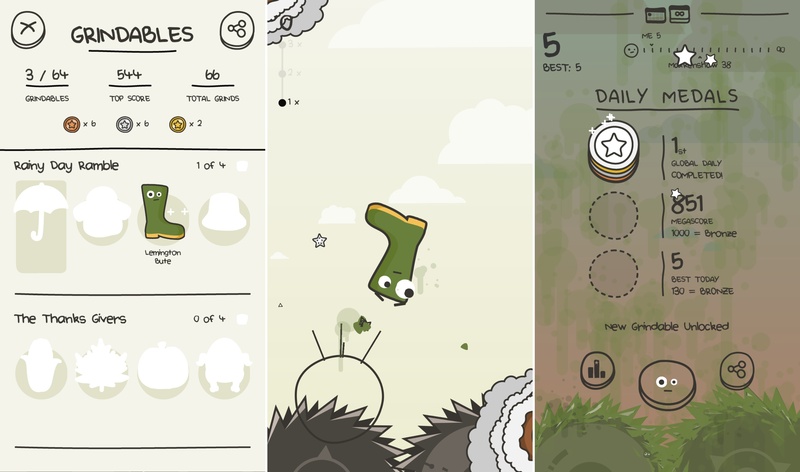 Games designed around thumbsticks and buttons don't usually translate well to iOS's touch-based environment. It's a fundamental difference that isn't new, but it’s one that separates the best iOS games from the rest of the pack when embraced as part of a game’s design. That's true for every one of my favorite games of 2016. Each is unique, but they share simple, elegant mechanics that aren’t a barrier to enjoying the game, focusing instead on artwork, sound design, story, and other elements that make each delightful in its own way. Note: Game Day is taking a short holiday break, but will return January 7.